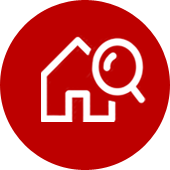 When you find a property that you like, you need to book an inspection to view. To make this as easy as possible, you have the ability to book on line via your computer or phone. 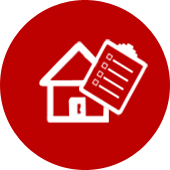 Simply click the red Book Inspection button next to the property you like. If these times and days don’t suit you, our office will be notified of your request and will be in touch to book a suitable inspection time. To ensure that you have chosen a property that will suit all of your requirements, we ask that you inspect the property in person PRIOR to applying. If you are relocating from another area and simply cannot inspect, please send somebody on your behalf or request that we Facetime you from the property to conduct a video walk through. Everybody over the age of 18 must complete an application form. Please ensure you spend the necessary time to complete your application properly. Failure to complete and sign all necessary sections will result in longer processing time which could mean that you miss out on your ideal property. 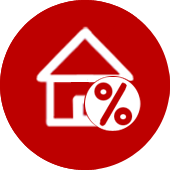 Conduct a 30% income test to ensure you can afford the property. To do this we take your combined income and multiply by 30%. The figure must not exceed the weekly rent. For example, if the combined income for the applicants is $900 per week, you can apply for properties up to $270 per week. 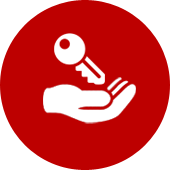 All information is provided to the owner of the property you have applied for so that they can make an informed decision. Please allow 3 business days for us to process your application. We use App Tracker and you’ll be automatically updated via email as your application progresses. We ask that you do not call continually to check on the progress as this will only cause delays.